Retainers will help to protect all the time and money you’ve invested in your newly aligned teeth by keeping them in place and beautiful for many years to come. 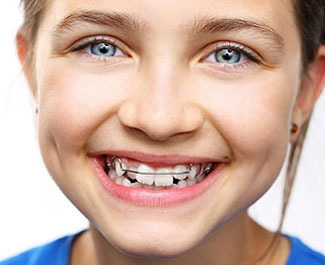 We offer two types of retainers: removable and fixed. Both are effective at keeping newly straightened teeth in place, and both have advantages and disadvantages that depend on your lifestyle. Removable retainers offer the advantage of easy use: You will generally put in a removable retainer at night and take it out in the morning. Regardless of your retainer schedule, you’ll be able to enjoy some time with no retainer. Another advantage of a removable retainer is that you can take it out and brush and floss your teeth with ease. This is more of a challenge with a permanent retainer. However, a removable retainer can easily be forgotten or misplaced. If that happens, you won’t be taking full advantage of teeth retention. Fixed retainers are the best choice for patients who want to “get it and forget it.” Once your fixed retainer is placed in your mouth, you won’t need to worry about daily retainer schedules. Because teeth begin to shift naturally as we age, a fixed retainer typically offers better long-term results for teeth straightening than a removable one. You can’t forget to put it in; it’s already there! One drawback to fixed retainers is flossing. If you find it more difficult to floss with a fixed retainer, at GriN Orthodontics we can show you some tips and tricks the next time you’re in our office.